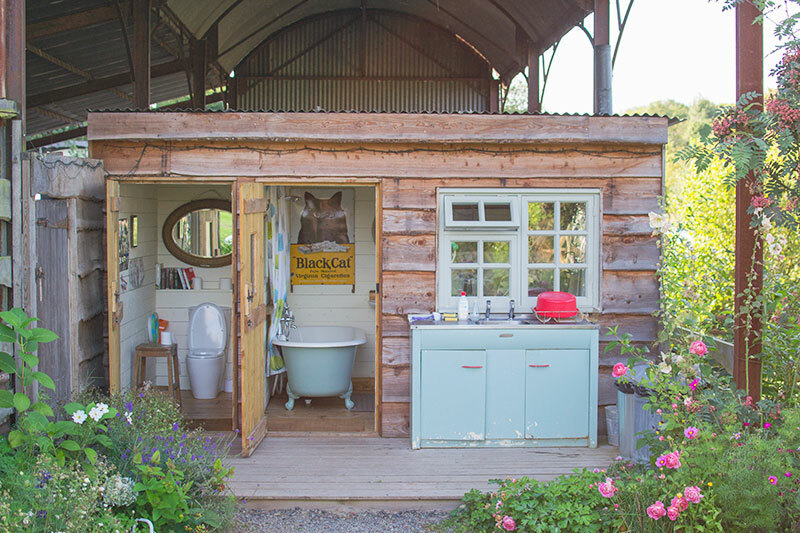 A couple of months ago I went to an event held by Canopy and Stars, a glamping company who specialise in finding unique and quirky places to stay. They started with seven spaces and now have over 500 catering for all budgets and levels of luxury. I could honestly lose hours on their website searching through all the amazing listings. Following the event Canopy and Stars asked me if I would like to go and stay in one of their listed properties. After looking to find somewhere in the UK to go and stay for a couple of nights I knew what my first choice was going to be: The Majestic Bus. 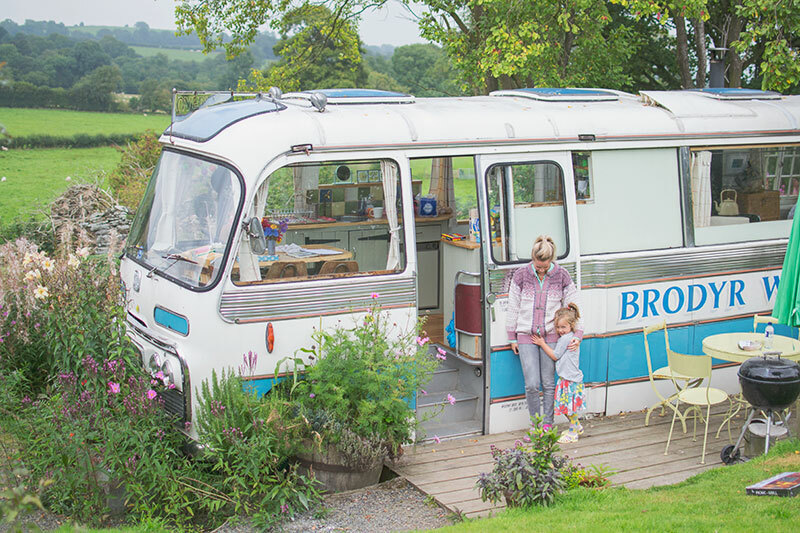 I became aware of the bus a few years ago when it was featured on the first episode of George Clarke’s Amazing Spaces and can remember falling in love with it. Then I forgot all about it until I spotted it on the Canopy and Stars website. 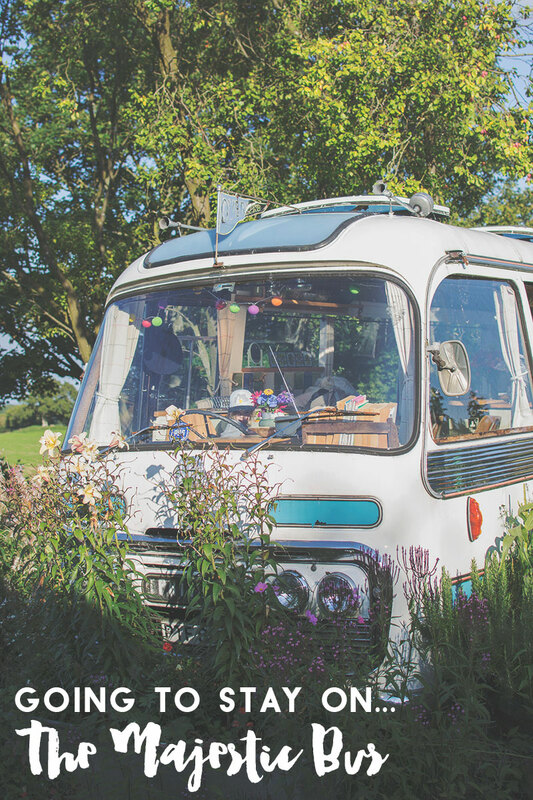 Located in the depths of the Herefordshire countryside is the lovingly restored Bedford Panorama Bus a.k.a The Majestic Bus. I won’t go into too many details about the bus and it’s features as you can find them all on the website (link at the bottom of the page). Instead I want to focus more on the whole experience of staying there as it really was magical so I’ve put together a list of 11 reasons why you should go and stay on it. The bus itself. I just love it. I find The Majestic Bus as beautiful to look at as the flowers and countryside it’s sitting amongst. 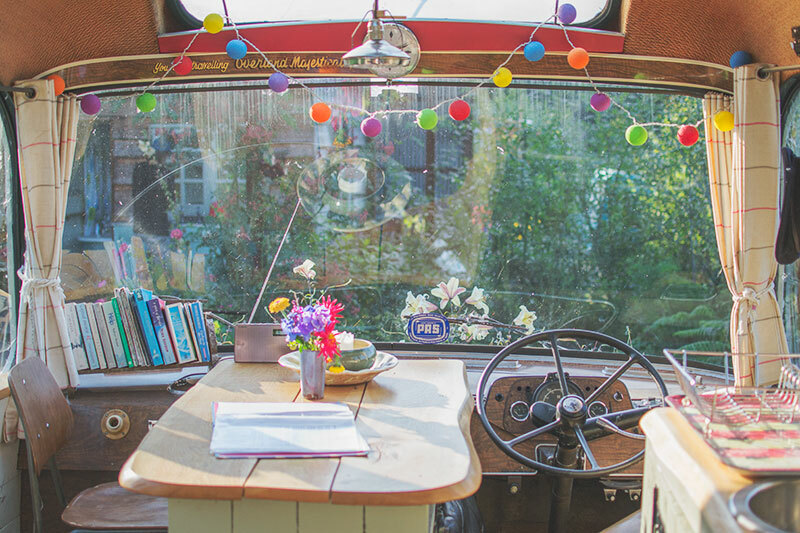 I love the colours, the vintage look of it, the huge windows as well as the interior which is fitted with everything you need. How amazing are these vintage sun loungers??! I LOVE them. 2. A glimpse into a life where you are more in touch with nature. We spend a lot of time outdoors but there was something about staying on The Majestic Bus that really made me feel more in touch with nature. It’s so easy to hide away from it all when you are in your house with the heating on surrounded by other houses and buildings. You could stay indoors for days if you wanted to without knowing what the temperature was outside or what time the sun comes up but when you are staying somewhere like this you are more aware of the planet. 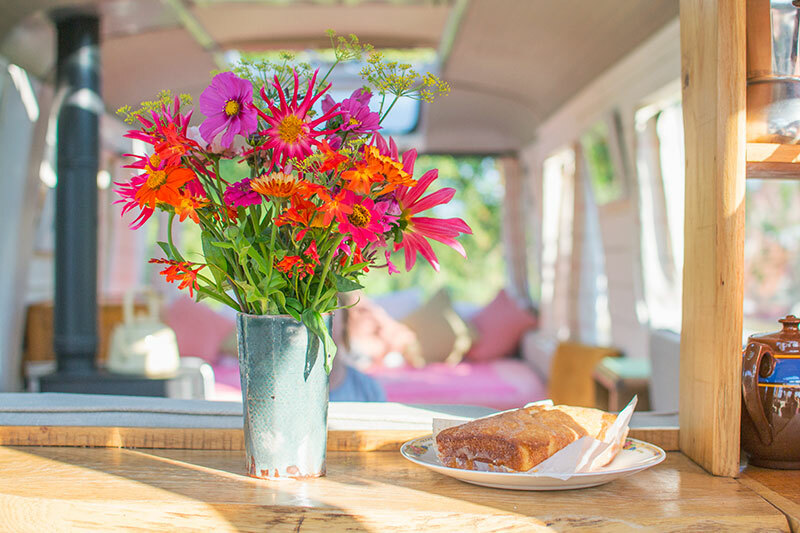 When you are washing up outside looking at beautiful flowers you are reminded how important water is and why using eco-friendly products is the only way to go. When you are cleaning up whilst looking at such gorgeous scenery you feel like you want to stop producing so much rubbish. Imagining the countryside filling up with landfill sites is a really scary thought. When you are cold you rely on fire for warmth and realise how essential trees are. By going back to basics you end up appreciating how amazing nature is. 3. A taste of a more simple life. 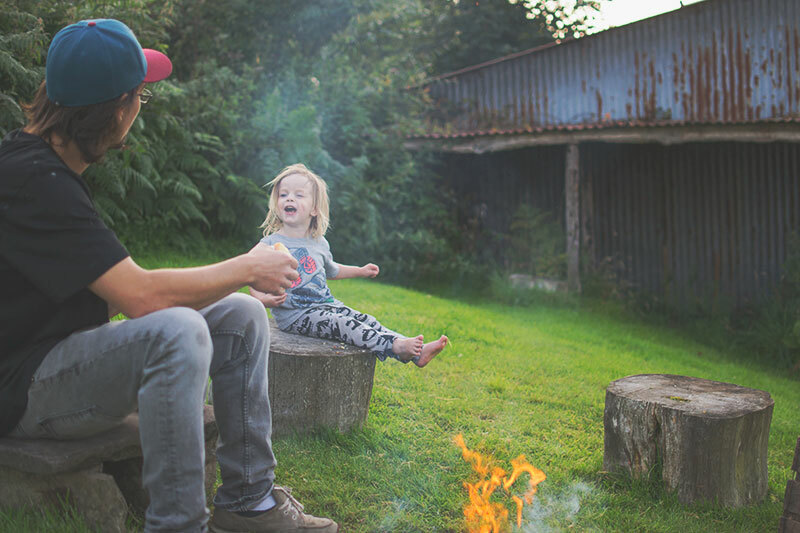 Without any of the distractions at home everything felt so simple. 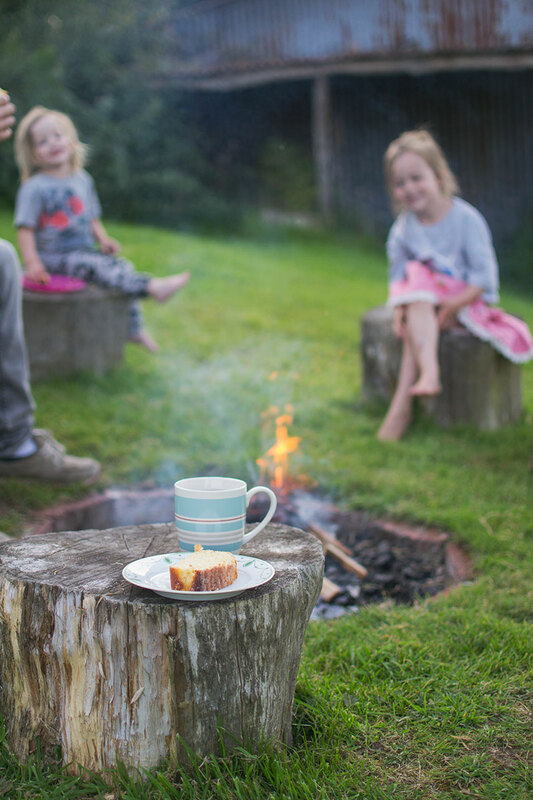 We ate, we cleaned up, we made a fire, we had baths and we got into bed, all before 8pm. I actually went to sleep both nights at 8.45pm as I was so tired. It was so lovely to just not have to think about anything else. Obviously had it been a bit earlier in the year then it would have been lighter until later so I wouldn’t have gone to sleep so early but that’s the other nice thing. You almost switch off to time and go by your body clock instead. 4. No wi-fi or phone signal. I wrote a post the other day about how I very rarely switch off from technology these days, it’s impossible when to when I rely on it for work but when I have no option to check my phone I am able to truly forget about it all which really is the nicest thing. It means I don’t have to fight the urge to check my FB or reply to emails, I can just relax in the knowledge I can’t. 5. The surrounding area. I’d never been to this part of Wales before but it is absolutely beautiful, huge hills everywhere and lots of lovely little towns. We stopped off in Hay-On-Wye which is full of cafes and independent shops as well as lots of book markets. 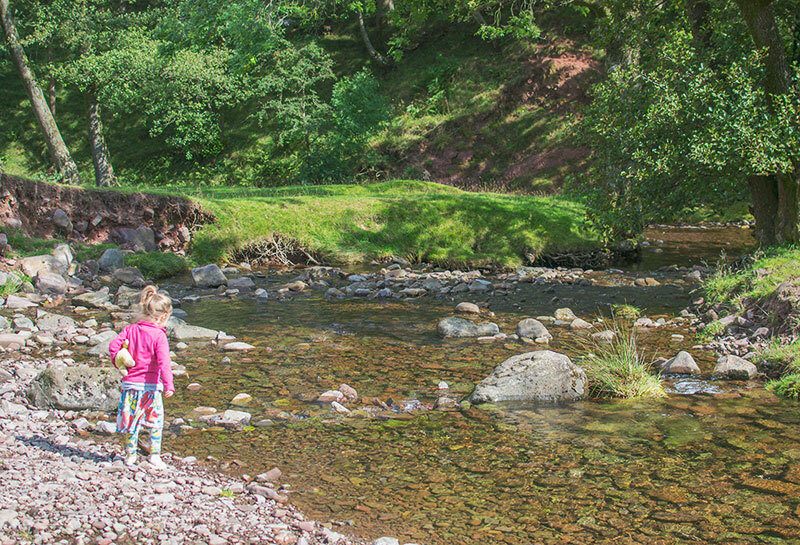 We then headed over to the Brecon Beacons and found somewhere to stop near a stream, it was so pretty. On the way we also stopped off at a National Trust place near Hereford called The Wier. It was so beautiful there. 6. The luxury feel to it. 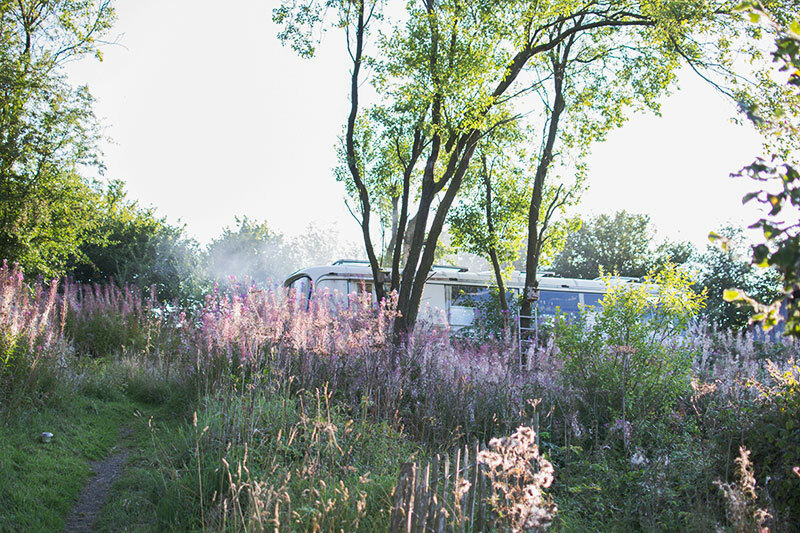 I’m all for glamping but I’m not much of a camper really, there are a few things that I really do need to be able to enjoy myself and they are all here. The site is off grid so I was slightly worried about whether the hot water would keep cutting out or even be that hot but I didn’t need to worry because the shower was fab, really hot. I didn’t have baths as it’s all we have at home so I love having showers when away but Mr C did and said it was great. There is a separate toilet next door to the bathroom which is a good idea when you have kids as it means you don’t have to leave the door unlocked for people to come in and use it. Another thing that made a huge difference was having a really comfortable bed. We usually struggle when we go away as none even slightly compare to our own which we love but this one was equally as comfy. 7. No people. 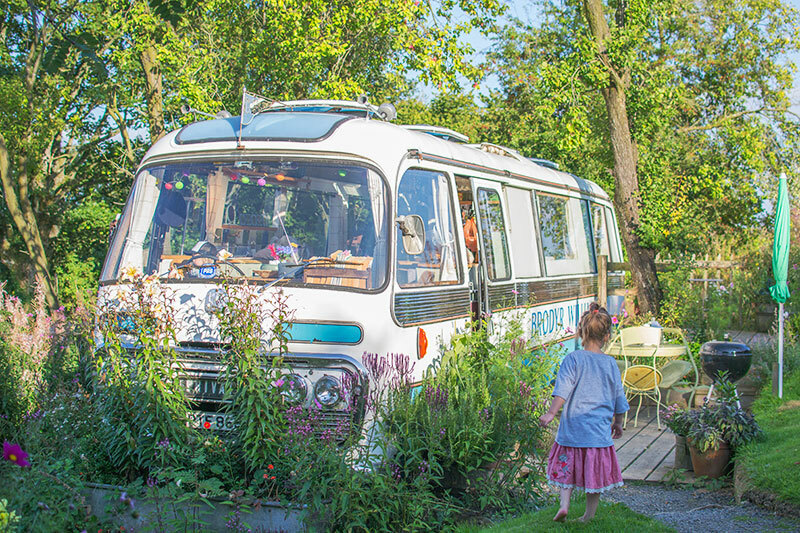 Apart from the owners (who are absolutely lovely) and who have built the bus into a place that means you are blocked off from their living space you can’t see any other people which is a rare thing these days. This obviously appealed to us as I’m always mentioning how we love places that aren’t busy, this definitely ticks that box! If you are someone who likes to go away and make friends with all your neighbours then this probably isn’t right for you but if you like to sit outside without having to say hi to anyone then this place is perfect. It’s also great with young kids as you don’t have to worry about them annoying your childless neighbours. Rob and Layla have young children too so you don’t feel like you are bringing them somewhere that is unsuitable. There is a potty and toilet seat in the bathroom too, just little things that are really helpful when you have kids. 8. The setting. 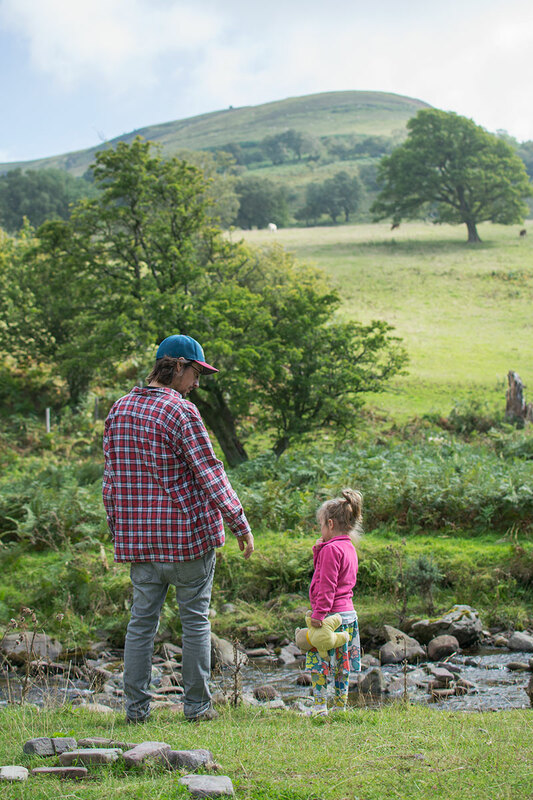 The land is owned by Rob and Layla and they have turned it into a little piece of paradise. Layla has a flower business and Rob is a landscape gardener so they have put their knowledge to good use in creating somewhere that looks stunning from corner to corner. 9. Sleeping under the stars. The bus has clear windows in the roof so on a clear night you can see the stars. A really nice thing to do whilst lying in the warmth of your bed. 10. The driver’s seat. The steering wheel and all the driver controls are still in place so as you can imagine this was Tiger’s number one place to sit, in fact no-one else was allowed to sit there as it was ‘his seat’! If you have any car lovers then this will keep them entertained for many an hour. 11. Family time. It was so nice to all spend every minute together, usually the kids will go up to bed in their own room so to all hang out together all evening to talk and play games was really lovely. The kids ended up sleeping in the bed with me as that’s where they fell asleep and it was nice to all wake up together. We had such an amazing time on the Majestic Bus and I would honestly recommend it to anyone, it’s a great experience and one that has changed my whole outlook on life. The prices are amazing too, a two night mid-week stay in October would only be £200 which isn’t that much different to a family room in a hotel but with this you get an entire experience as oppose to just somewhere to sleep. For pricing and booking enquiries visit the see here. We were invited for a 2 night stay free of charge as part of our collaboration with Canopy and Stars. No payment was received for writing this post.